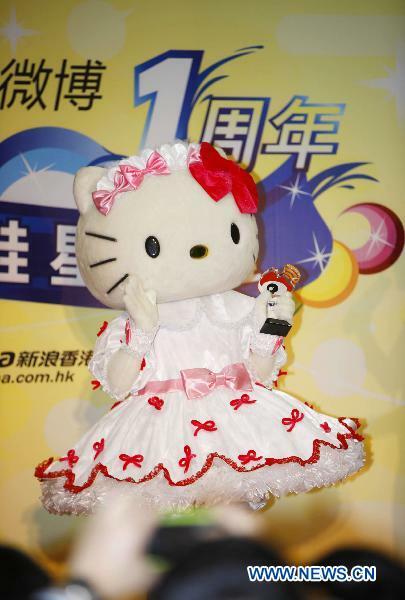 Michelle Reis announced she was four months pregnant but there was nothing in the family additions department (or anything else) from Hello Kitty. Jiang Yiyan in one of the ubiquitous "photo shoots" that pop up in the Chinese celebrity press--and which often wind up here. 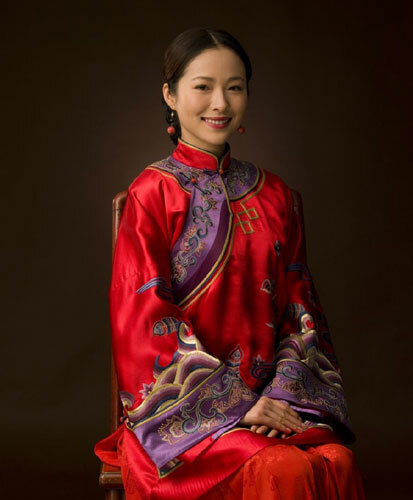 More qipao/cheongsam goodness with a bonus of a blazing red, intricately embroidered wedding dress. Proof (as if any more is needed) that god was in a benevolent mood when he decided to create silkworms. She has a movie coming out soon, a Chinese/German collaboration that might be based on the latest release from the Steve Jobs digital empire, I Phone You. Carina Lau and Li Bing-Bing hype "Detective Dee"
Li Bing-Bing once again in her "effortless beauty" mode. From a couple of days ago in Sina through dleedlee. It is easy to see why Ponyo has such a devoted following among discerning filmgoers: it is a fable full of fantasy with a very simple story line and plenty of fantastical characters. It is essentially a three-hander. 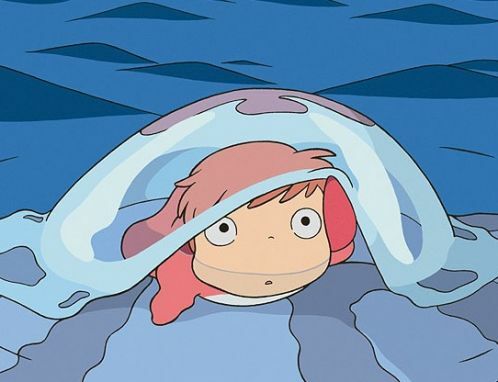 Ponyo herself should be a grotesquerie, a demon, a nightmare created by an evil genius; a fish with a human face could only happen is a horror movie--unless it was from masterful hand of Hayao Miyazaki and then it if becomes as loveable as any movie character. 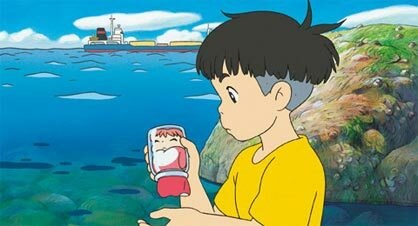 Her opposite, the person who completes her and allows her to become human--which is not species chauvinism, it is clear from the beginning that she isn't really a fish--is Sosuke a five-year-old boy who rescues her after she is stuck in a bottle and washed up on shore. Her first line is "Ponyo loves Sosuke" which sums up their relationship perfectly. The third part of the trio is Lisa, Sosuke's mother. The consumate movie mom, she is sensitive, loving, courageous and a great driver--if you need to get your tiny car across a flooded ditch during a typhoon Lisa should be at the wheel. Lisa is the adult necessary for the Ponyo/Sosuke story to unfold. If it stayed at the level of the magic fish girl and the young boy it couldn't develop. When Sosuke tells her about his new friend, a ham loving goldfish who has changed into a little human girl she simply says that life is amazing. In doing so she welcomes Ponyo into her extended family (which includes, in addition to her sea captain husband, four old ladies who live in the home for the aged where she works) and into the human world generally. Ponyo is full of operatically grand and fantastically impossible characters. 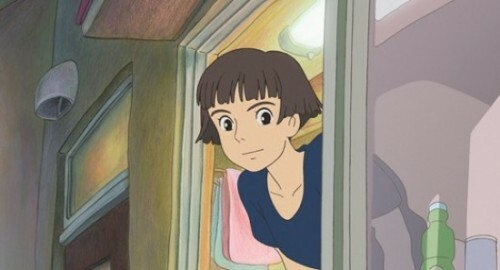 Ponyo was the result of the union of Fujimoto and Gan Mamare. Fujito is an easily distracted and not very competent wizard, formerly human and still with a lot of human characteristics including his hair-metal coiffure and chalk-striped suit. He hates humans because they destroy the environment and would like the world to reverse evolve back to the Cambrian age. Gran Mamare, his estranged but still friendly wife, has a human form but is both gigantic (although never threateningly so) and ephemeral, seeming to be as much a part of the spirit world as of the fishy tangible one. Ponyo has many younger sisters--I am pretty sure they are all girl fish--who have proto-human faces and who, one imagines, may want to test their destiny on dry land at some point. The old ladies change from a dour pain filled existence in death's waiting room to people who are joyous, active and who love a good time. One of the many strengths of this movie is lack of exposition. We don't know anyone's background, simply what they are in the moment. Before the huge storm Lisa is piqued at her husband who has to take his ship on another short voyage instead of coming home that night. Sosuke exchanges loving greetings with him using Morse code sent with a signal light while Lisa sulks and then blows up a bit at him sending her own Morse signal. We get the idea that this is a not uncommon situation--which is all the "backstory" of any of the characters that I can recall. 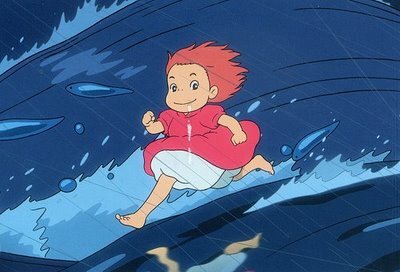 There are amazing scenes throughout, from the hugely cinematic--Ponyo running over the huge waves caused by the typhoon, keeping up with Lisa and Sosuke in the car along the cliff road with something very close to "The Ride of the Valkyries on the soundtrack--to the intimate and tender--Sosuke hiding Ponyo's fishbowl in the bushes then coming back to make sure that she will be safe from wandering cats. Ponyo is a great movie. This just in: Gong Li borrows Shakira wig from 2006, has picture taken. From yesterday's opening of The 25th Biennale des Antiquaires in Paris, first of the the autumn season of European fine art and antiques fairs (WSJ) where you can "completely satisfy an escapist fantasy of a life lived in luxury" (NYT), Gong Li accompanied, as if often the case in when she is in Europe, by Yves Carcelle, CEO of Louis Vuitton. New hairstyle--or at least unfamiliar to me hairstyle, amazing ballgown, slightly pornographic necklace with a strategically placed ruby. A great look. From Zimbio. I hope there are a few more images of Gong Li in this outfit floating around. Not to put too fine a point on things, Michelle Yeoh looked great. The green Alberta Ferretti dress was a perfect color for her and was complemented by the gorgeous, almost flamboyant, Boucheron earrings. Walking elegantly in the Versace sky high stilettos was probably no more difficult than jumping a motorcycle onto a moving train in Police Story 3. That's Demi Moore, Jennifer Lopez and Catherine Deneuve along with her, quite a range of styles, appearances and talents. The line-up is from Red Carpet Fashion which noted that she "went runway from head to toe". With Nicola Bulgari who looks as if someone just took a glass our of his hand. With Anna Piaggi, big time fashion journalist in Italy known for her "distinctive" (insane, hideous, just plain strange) style and Beatrice Bulgari. Taking a quick break from the festivities, making sure the camera gets the ring as well as the necklace. 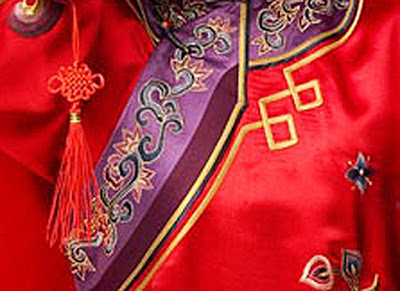 Not a good way to show off meticulous Chinese craftsmanship especially in Italy where they feel that no one other than themselves know how to cut and drape fine fabric. Here is Li Bing-Bing looking stunning while just cold hanging out in Piazza San Marco and doing touristy stuff like feeding the pigeons, sitting at a sidewalk cafe (sans cappuccino it seems) and having her picture taken in front of the Doge's Palace and St. Mark's Basilica. Perfect outfit, great hair, looks like she is enjoying herself. Even though it is a story another part of the Mediterranean she truly has a face that could launch a thousand ships. In town to support Detective Dee takes a stroll on the Lido wearing a dress that harkens back to the shoulder padded 1980s with a nod to 1960s nostalgia in a cartoon future universe; a combination of Joan Collins as Alexis Carrington Colby and Jane Jetson. Not Carina Lau at Venice Film Festival.